One of the most difficult types of business to relocate is any type of medical practice where equipment is used to help patients. An example of this would be the moving logistics involved in relocating a dental office. Even if you are just moving locally within the same city or even in the same neighborhood, it is the idea of packing and loading everything up and moving it without incident that can be so stressful to practice owners. However, the location of your dental office is very important to the success of your practice, so if moving to a larger or more prominent location will help you to grow your business, then it is worth all the effort involved. The first thing you will discover is that not all moving companies in Seekonk, Massachusetts or the surrounding Southern New England area are created equal. Some specialize in moving households or making personal relocations, while other professional moving company services specialize in serving commercial clients. You will want to go with a team of Massachusetts movers who have moved your type of business before. 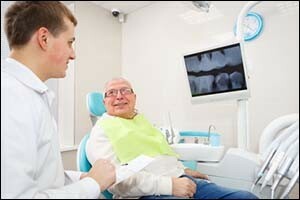 The experience and knowledge required to move a dental office is much different than moving a bunch of computers for a collections office or a bunch of stock materials for a retail store. You need to feel confident that the movers can handle the moving logistics required to move all of your dental equipment from point A to point B without a hitch. Before you contact the moving company, make sure to go over everything that needs to be moved with your office manager. Make a list of sensitive equipment and other specialty items that will require some delicate handling by the Massachusetts movers. Contact the moving company and ask them to provide you with an estimate for the move. A good company will want to come out to your location and preview all of your equipment first hand before providing you with a quote. The requirements for your move will be based on the type of equipment you have, any special handling that will be needed, as well as any large or over-sized items that might need extra attention. Once you get an estimate and decide on the moving companies in Seekonk, Massachusetts or the surrounding area that you want to use, you can schedule your moving date. The day of your move will require just as much moving logistics as preparing your equipment to be transported to the new office. You will need to coordinate your moving day between your current location and the new location. Check to see if there are any moving restrictions, such as daytime or nighttime moving requirements, elevator use restrictions for upper floors, weekday or weekend moving rules, or anything else that might affect your move. If possible, try moving over a long weekend to reduce the amount of downtime you will have so you can be available for your patients right away on the next Monday morning. Work with your office manager and the moving coordinator with the professional moving company to create a schedule that works for you. Decide whether you will have the Massachusetts movers pack your office supplies, files, computers and other things, or if you will pack them yourself. Remember that there are legal requirements for the handling of patient files, so it pays to work with a team of movers that specializes in working with medical practices. Have your employees pack up anything that isn’t needed for use immediately to reduce the amount of things that will have to be packed on the moving day. Arrange transportation of any items that you wish to move yourself or that you have charged employees with taking care of for the move. Make sure the moving company knows what they are supposed to move, and what they are to leave behind. Let your staff members know about the move as soon as you have something set. If the location is far from your current location, make sure employees know where they would need to go for work everyday, as this could affect their commute. As soon as you know that you are moving, approximately two to three months in advance, start notifying your patients of your relocation. Send out printed mailers to their homes, send emails if you have addresses, and make phone calls whenever possible to advise them of your moving date and the location of the new office. Include a map that shows your current location and the new location to help them find you. If your phone number will be changing, make sure to include that as well. Consider posting a notice in the local newspaper and make sure to include a reminder in your voice mail message for those who call in to make appointments. If you are planning a specialty move for a dental office or other type of medical practice, contact Conlon Moving & Storage. As a professional moving company serving Southeastern Massachusetts, New England and locations all around the globe, we have the knowledge, training, experience and equipment necessary to handle your moving logistics. Give us a call at 508-336-7766 to get a FREE estimate on our services.